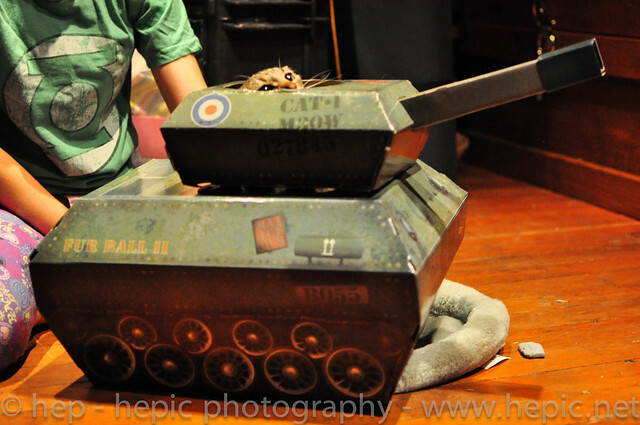 enemy alert.jpg, a photo by hep on Flickr. 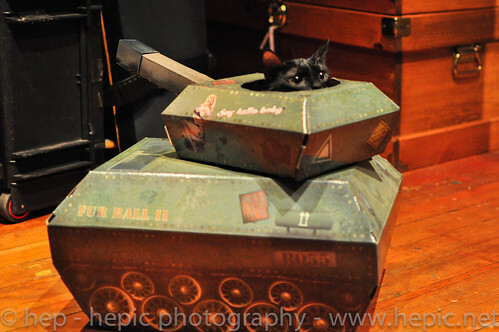 sergeant tiny scouts for enemy activity from chairman meow's army. private beretta sights for maneuvers under generalissimo gato. Ahh kitties ! Cute stuff. oh my god where did you get that thing!?? they have them on thinkgeek. sometimes we build them ourselves out of boxes and spray paint. the think geek ones are nicer tho because the cardboard is laminated so the cats can't shred them as quick. i want to get them the red baron plane next. haha i just love the little 'spraypainted' words on the side. FUR BALL II.